To follow up on yesterday’s posting, here is a photo of Sony's PSP playing a demo video clip. Yes, the screen really is that beautiful! 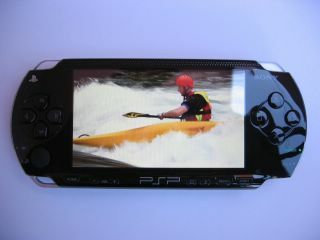 Even if you are not a video game player the PSP makes an excellent personal video player.